Mario Goldenbaum (goldenbaum@princeton.edu) received the Dipl.-Ing. (FH) degree from the University of Applied Sciences Bremen, Germany, in 2005 and the Dipl.-Ing. degree from the University of Bremen in 2008, both in electrical engineering. In 2014, he received the Dr.-Ing. degree (Ph.D.) in electrical engineering from the Technical University of Munich, Germany. From 2008 to 2010, he worked as a Research Associate in the Department of Wireless Communications and Networks at Fraunhofer Heinrich Hertz Institute, Berlin, Germany. Between 2010 and 2014, he was a Research and Teaching Associate in the Communications and Information Theory Group at Technical University of Berlin as well as a Ph.D. student at the Chair of Theoretical Information Technology, Technical University of Munich. In 2015, he joined the Department of Electrical Engineering at Princeton University as a Postdoctoral Research Fellow. He was a recipient of the Best Paper Award of the German Information Technology Society in 2014 and of the Science and Engineering Incentive Award of the Vodafone Research Foundation in 2016. 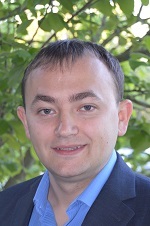 Alex Dytso​ (adytso@princeton.edu) is currently a Postdoctoral Researcher in the Department of Electrical Engineering at Princeton University. In 2016, he received a Ph.D. degree from the Department of Electrical and Computer Engineering at the University of Illinois, Chicago. He received his B.S. degree in 2011 from the University of Illinois, Chicago, where he also received the International Engineering Consortium's William L. Everitt Student Award of Excelence for outstanding seniors. His current research focuses on multi-user information and estimation theory and their applications to wireless networks. Rafael F. Schaefer (rafael.schaefer@tu-berlin.de) received the Dipl.-Ing. degree in electrical engineering in 2007 from the Technische Universität Berlin, Germany and the Dr.-Ing. degree in electrical engineering in 2012 from the Technische Universität München, Germany. 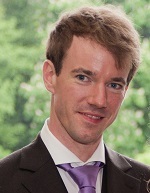 From 2007 until 2010 he was a Research and Teaching Assistant at Technische Universität Berlin and from 2010 until 2013 at Technische Universität München. From 2013 until 2015 he was a Post-Doctoral Research Fellow at Princeton University. Since December 2015 he has been an Assistant Professor at Technische Universität Berlin. 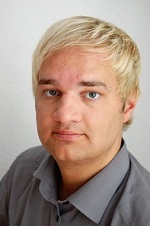 He was a recipient of the VDE Johann-Philipp-Reis Prize in 2013 and of the Best Paper Award of the German Information Technology Society in 2016. He was one of the exemplary reviewers of the IEEE COMMUNICATION LETTERS in 2013. 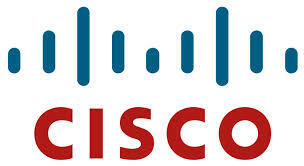 He is currently an Associate Member of the IEEE Information Forensics and Security Technical Committee. 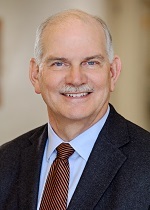 H. Vincent Poor (poor@princeton.edu) is the Michael Henry Strater University Professor at Princeton University, where is also the dean of the School of Engineering and Applied Science. His research interests are in wireless communications and related fields such as social networks and smart grid. An IEEE Fellow, Dr. Poor is a member of the National Academy of Engineering and the National Academy of Sciences, and a foreign member of the Royal Society. He received the ComSoc’s Marconi and Armstrong Awards in 2007 and 2009, respectively. Recent recognition of his work includes the 2014 URSI Booker Gold Medal, and honorary doctorates from several universities. Holger Boche (boche@tum.de) received his Dipl.-Ing. and Dr.-Ing. degrees in electrical engineering from the Technische Universität Dresden, Germany, in 1990 and 1994, respectively. 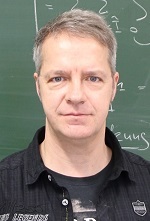 He graduated in mathematics from the Technische Universität Dresden in 1992. From 1994 to 1997, he did postgraduate studies in mathematics at the Friedrich-Schiller Universität Jena, Germany. He received his Dr.rer.nat. degree in pure mathematics from the Technische Universität Berlin, Germany, in 1998. In 1997, he joined the Fraunhofer-Institut für Nachrichtentechnik, Heinrich-Hertz-Institut (HHI), Berlin. In 2002, he was a Full Professor of Mobile Communication Networks with the Institute for Communications Systems, Technische Universität Berlin. In 2003, he became the Director of the Fraunhofer German-Sino Laboratory for Mobile Communications, Berlin, Germany, and in 2004, he became the Director of HHI. Since 2010, he has been with the Institute of Theoretical Information Technology, and a Full Professor with the Technische Universität München, Munich, Germany. Since 2014, he has been a member and an Honorary Fellow of the TUM Institute for Advanced Study, Munich. He was elected as a member of the German Academy of Sciences Leopoldina, in 2008, and the Berlin Brandenburg Academy of Sciences and Humanities in 2009. He was a recipient of the Technische Kommunikation Research Award from the Alcatel SEL Foundation in 2003, the Innovation Award from the Vodafone Foundation in 2006, and the Gottfried Wilhelm Leibniz Prize from the Deutsche Forschungsgemeinschaft (German Research Foundation) in 2008. He was a co-recipient of the 2006 IEEE Signal Processing Society Best Paper Award, and a recipient of the 2007 IEEE Signal Processing Society Best Paper Award. He is a Fellow of the IEEE.